UltraPro Super Hexene HAO Can Liners are among the toughest in the industry up to 50 percent stronger than other bags of the same gauge. The result: better performance at lower cost. These liners are also a smart choice for environmental source reduction: advanced film technology reduces plastic waste by up to 25 percent with absolutely no sacrifice in performance. Even the carton is environmentally friendly: inks used are water-based and the cartons are manufactured with up to 60 percent recycled content. 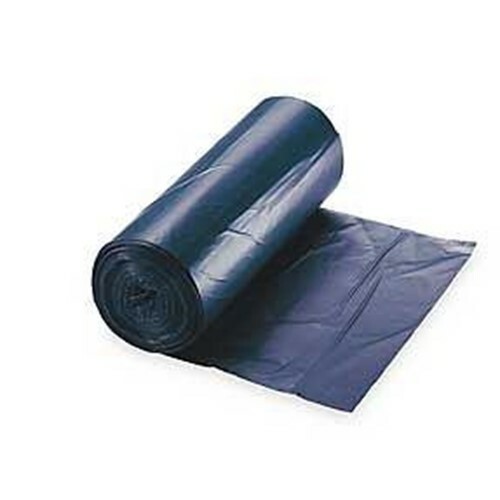 This bag works in the widest variety of applications, including heavy or sharp objects, and wherever MAXIMUM puncture and tear resistance are needed. UltraPro Trash Liner, 33 gallon, 33 x 40 size, 19 microns per 0.75 Mil, super low density, magnum blue color, 10 rolls of 25 bags for 250 per case.